Being able to feel a wide range of emotions is the best thing about being human. We can experience happiness, sadness, anger, and hysteria, sometimes at the same time. The following pictures are sure to bring out different kind of emotions so get ready for a lot of feelings. 24. 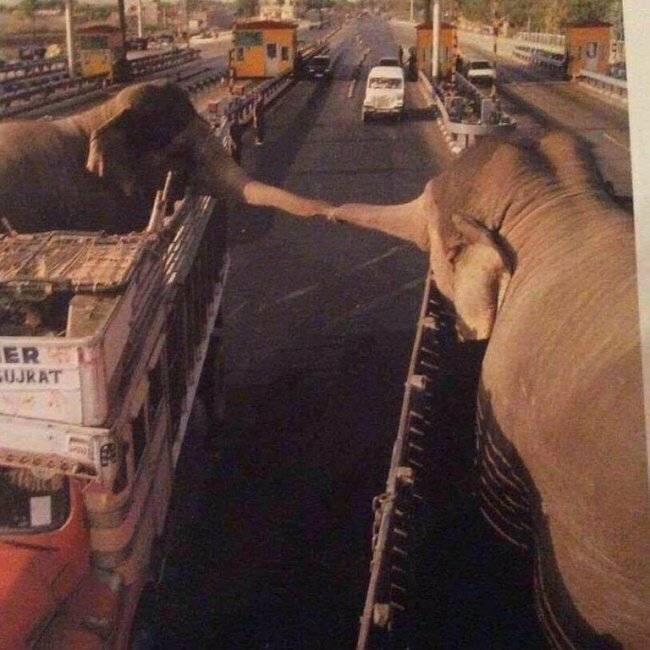 These two elephants reached towards each other before getting separated for the rest of their lives. There's something about animals that tugs at your heartstrings. 23. 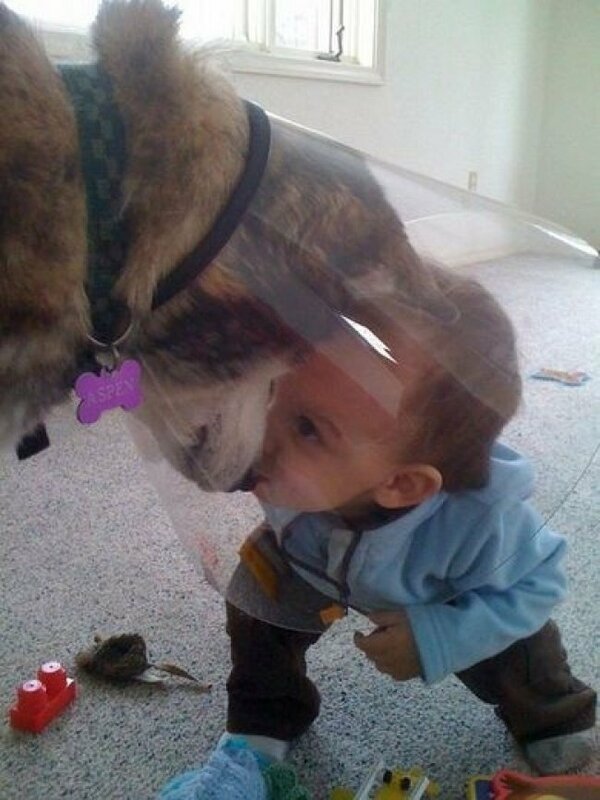 The family's dog was sad about having to wear 'The Cone of Shame,' and the toddler decided to cheer him up. 22. 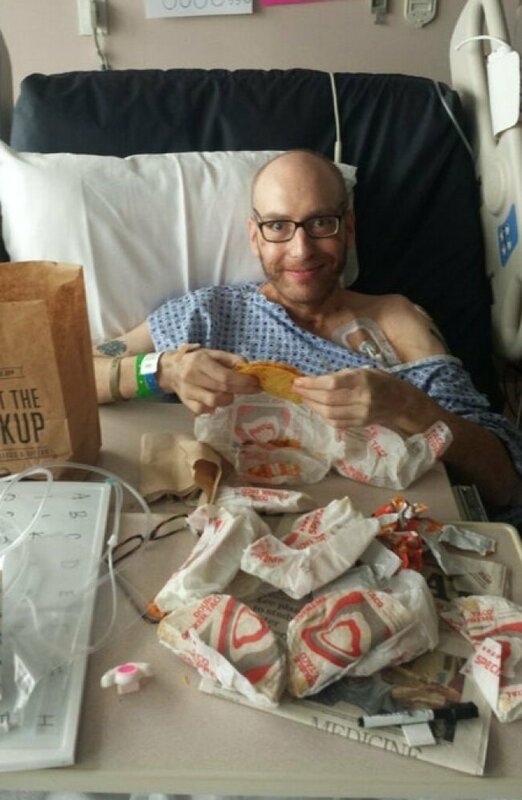 A man's friend woke up from a coma after 42 days and wanted Taco Bell. 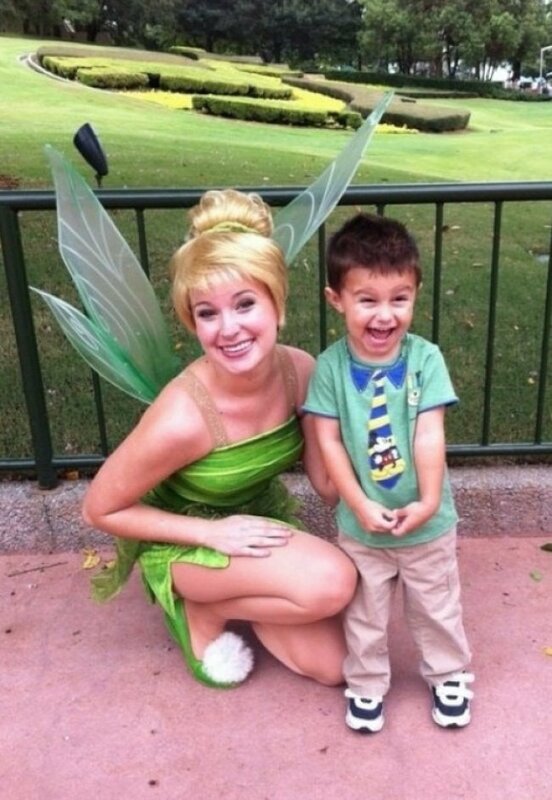 His face is the picture of happiness after he got his wish. 21. Mario worked at the zoo for more than 20 years despite having a mental disorder. 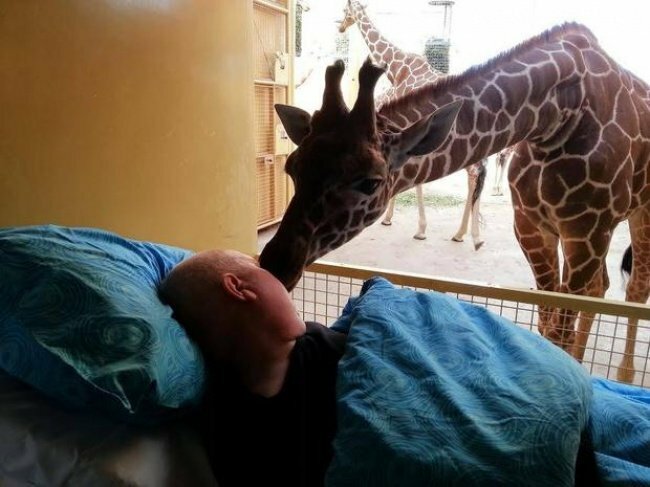 He was later diagnosed with a brain tumor and wanted to say goodbye to his giraffes. 20. 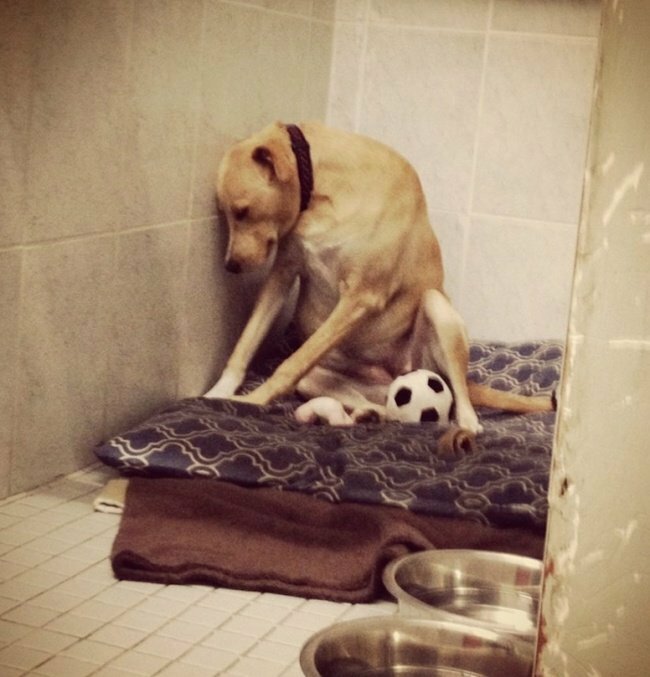 This poor cutie was returned to the shelter a few hours after being adopted. I'm not crying; you're crying. 19. 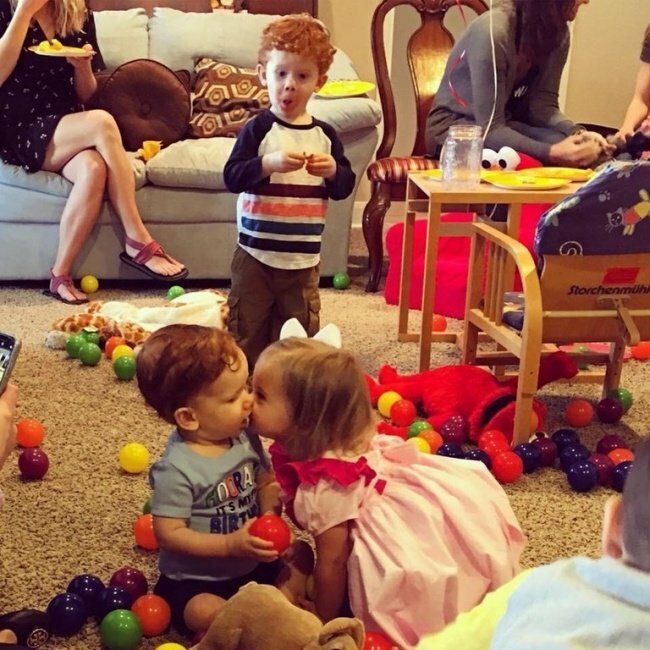 This picture shows the big brother watching his little brother getting his first kiss. Says a lot about the future! 18. This cat is surprised that everything is moving so fast. 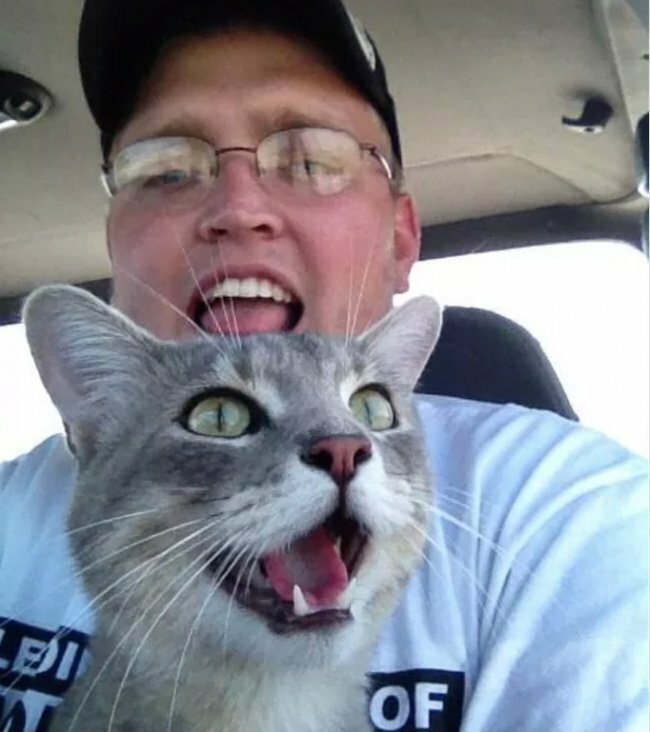 Look at both owner and cat's faces: pure happiness. 17. 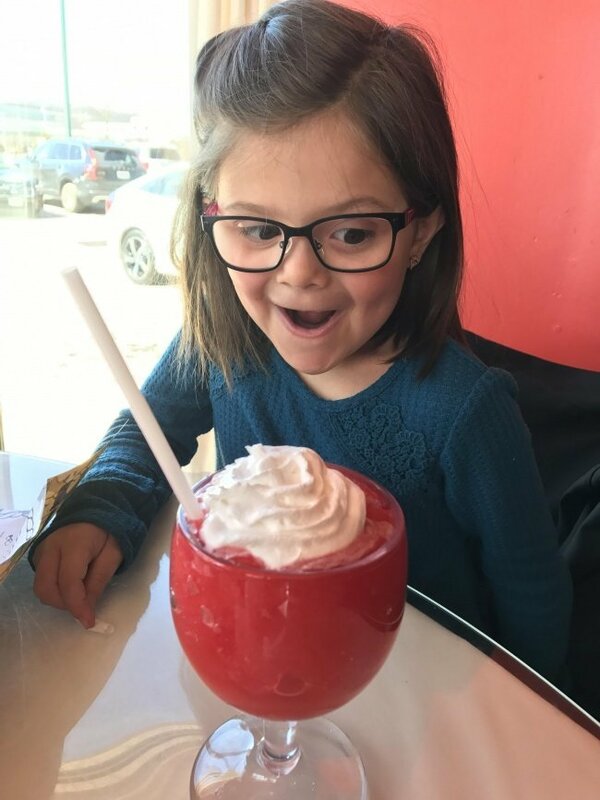 This little girl wanted a 'Mommy Drink' for her birthday. What a genius idea! 16. 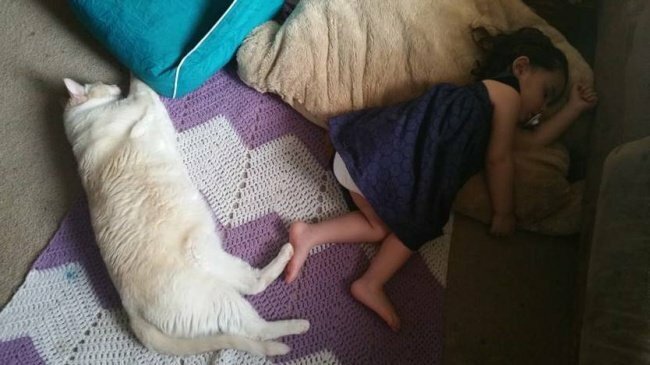 The girl and the cat have to touch while sleeping always. Children's connection with animals is stronger than any other. 15. 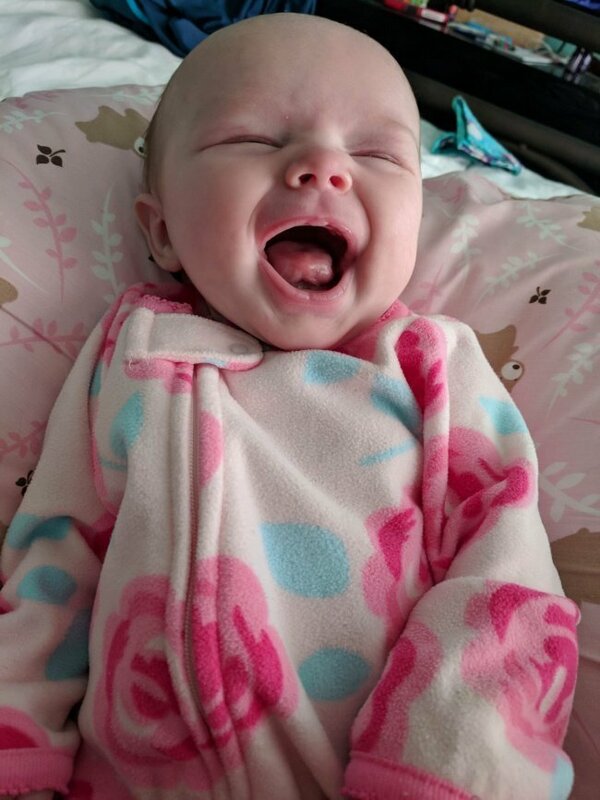 This picture shows a baby that slept for 8 hours straight for the first time. Her smiling face is also a reflection of her mother's happiness. 14. 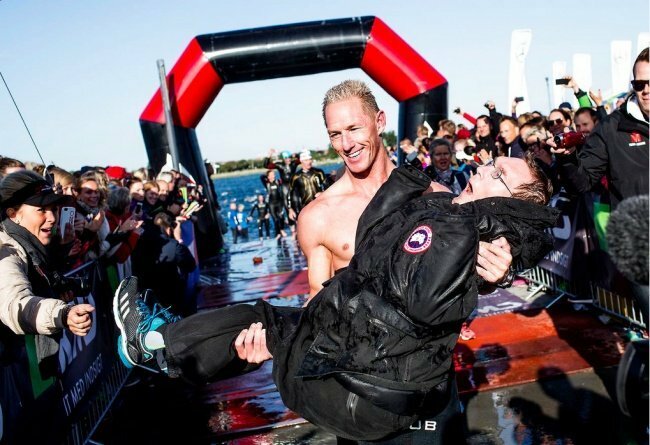 This man made an effort to push and pull his disabled brother through the finish line of an IronMan. 13. This picture was the last picture taken of this dog. 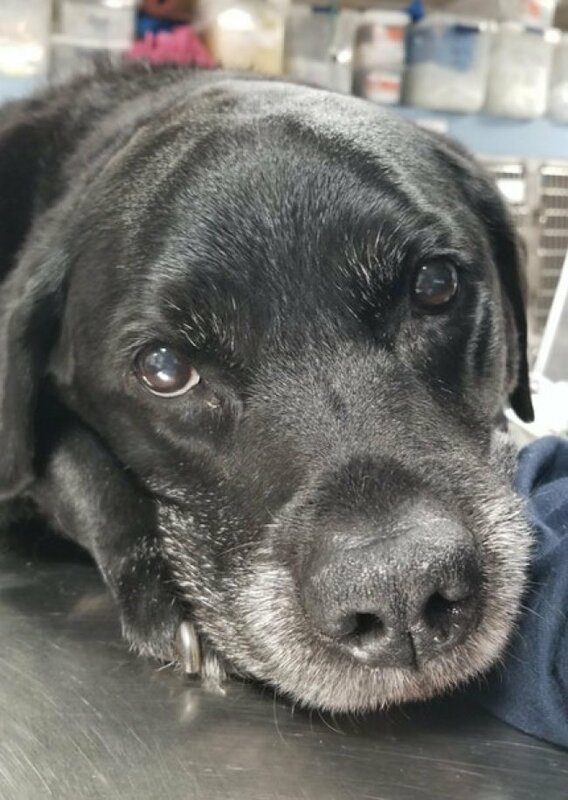 His owner had had him for more than 12 years. We feel your pain, man. 12. 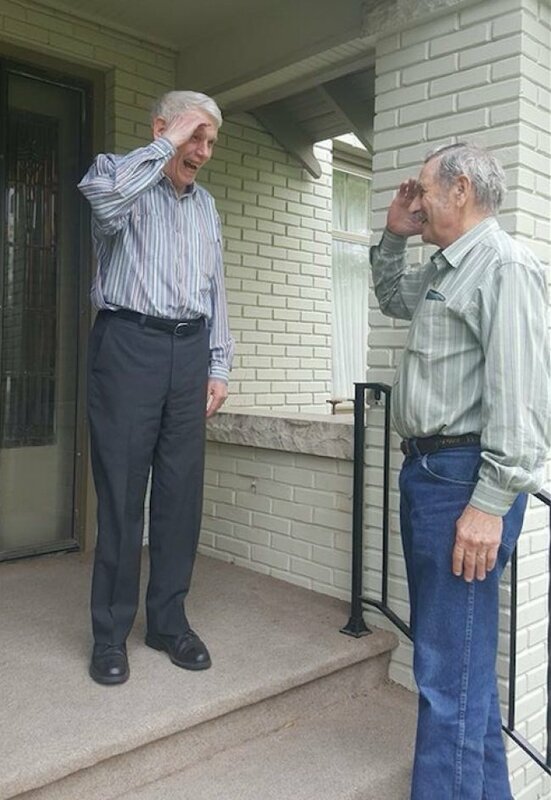 Someone' grandpa meets his navy commander for the first time after so many years. 11. This picture shows another child with a deep connection to her dog. 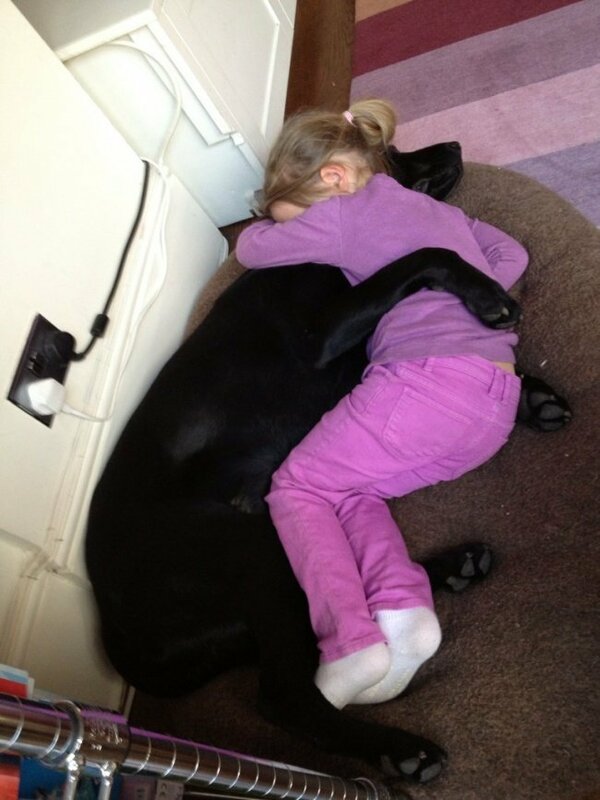 This girl came home tired from a bad day at school and sought comfort. 10. This boy suffers from a rare illness called Hypotrichosis. 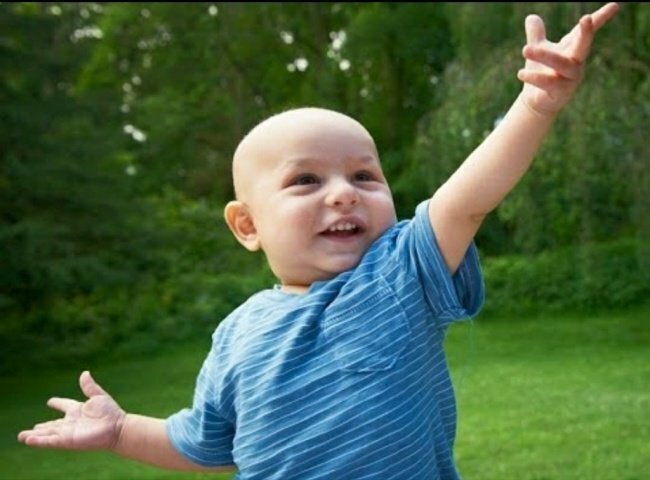 This picture shows the pose he made after getting out of the hospital. 9. 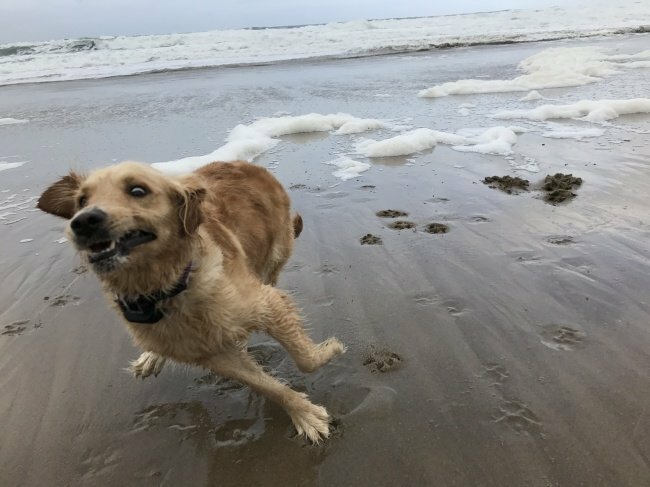 A dog's first time on the beach. Was he having fun or running away from the waves? My dog likes to bark at them. 8. 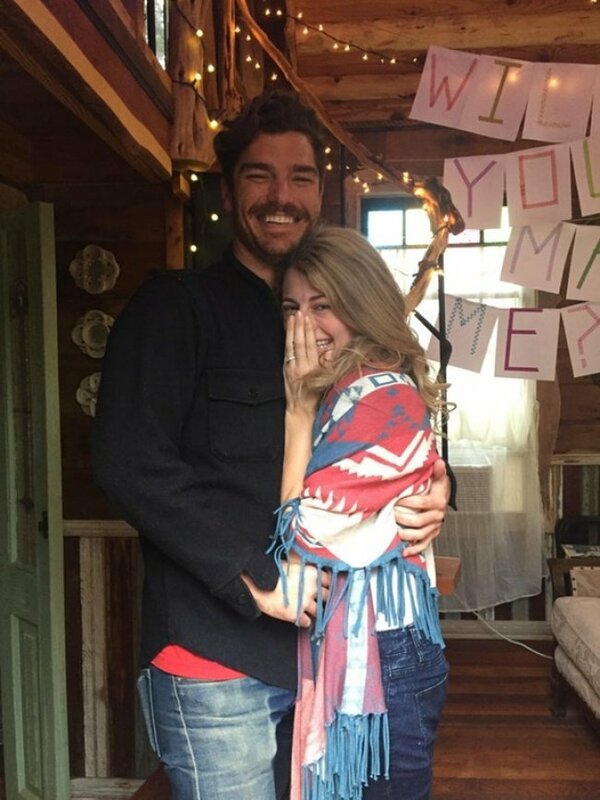 This picture shows a couple's first happiness after getting engaged. They're both smiling from ear to ear. Have you experienced such happiness? 7. 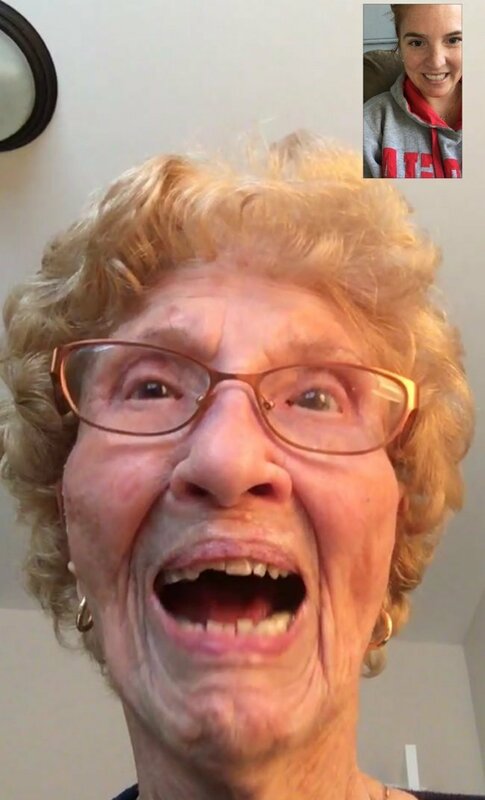 A 96-year-old's first time using FaceTime. We love how technology has made moments like this possible. 6. 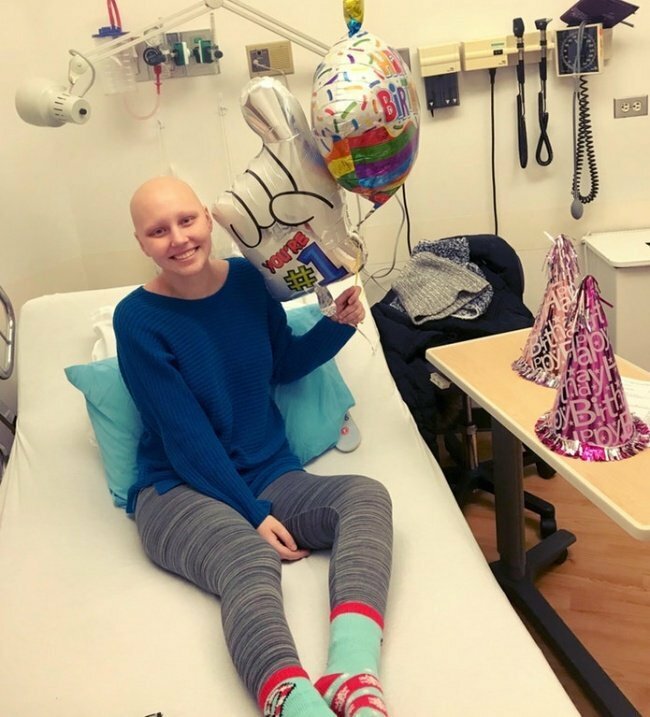 This picture shows a chemo patient celebrating her 21st birthday. Being at the hospital for the occasion is not ideal, but she made it to 21. 5. 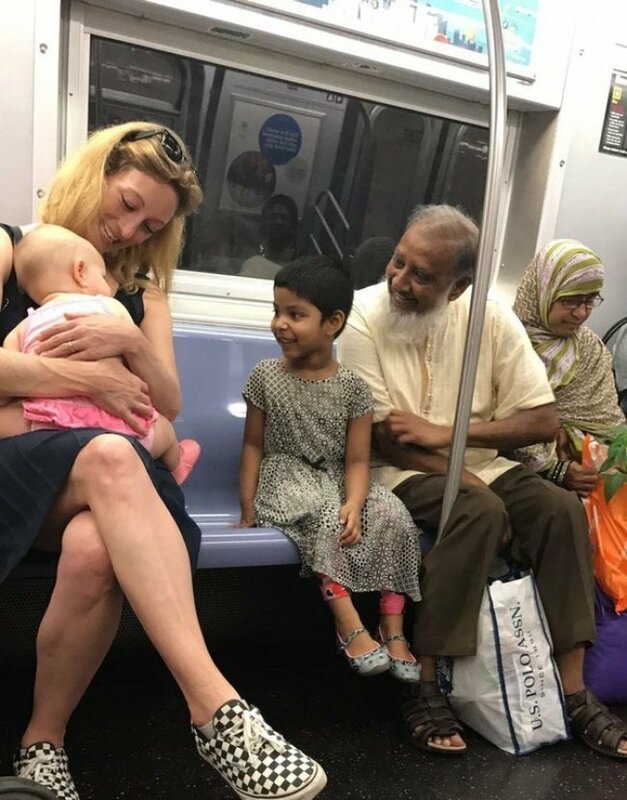 Two children from different races and backgrounds say hi on the subway. That's making America great again. 4. 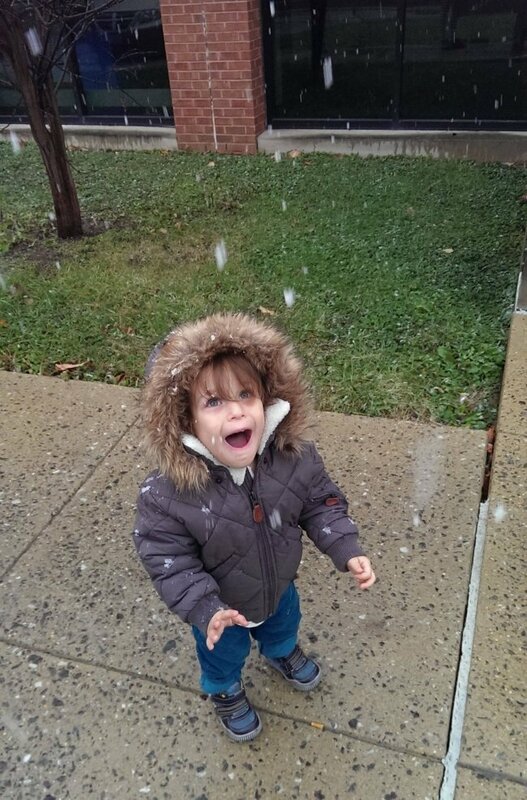 The face of seeing snow for the first time. Children make everything seem wonderous again. 3. Margaret Bekema left school a long time ago to take care of her family. 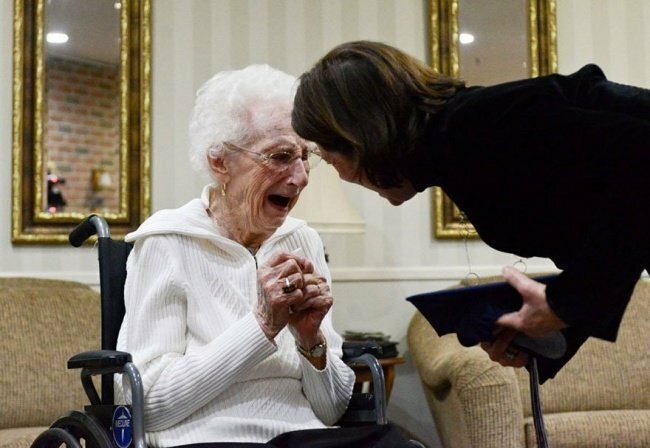 She got her diploma at the age of 97. It's never too late! 2. The little boy met one of his favorite Disney characters. This is simply magical. 1. 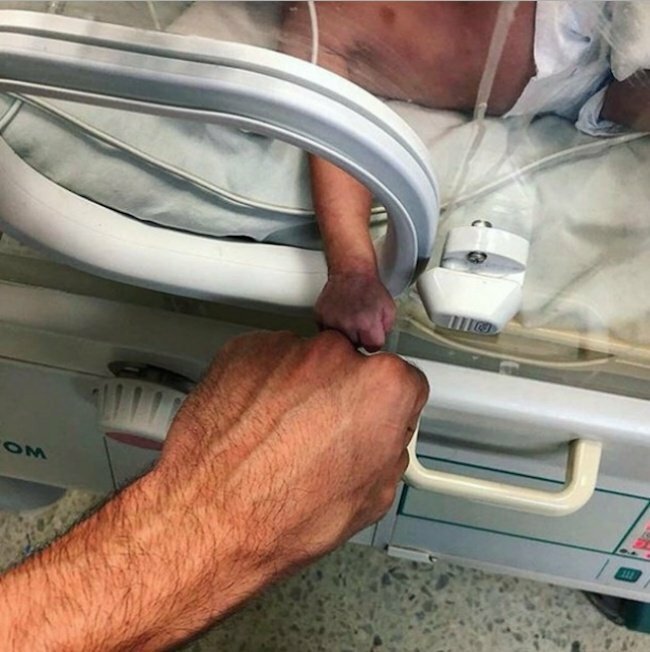 A dad fist-bumps his son while he is in an incubator. What an incredible moment!